The Azure Christmas ornament is the favorite of our customers. It was hand blown by the Original Mount St Helens Glassworks. 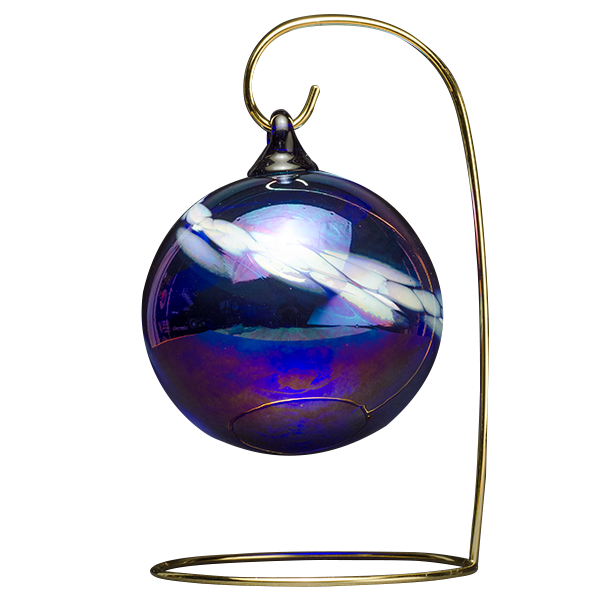 The artists blended the deep cobalt blue with accents of white to hand blow this lovely translucent sphere.